The University’s motto, ‘Knowledge in motion’, allows a wide range of associations. We’re asking all students, alumni and staff at FAU to show us what knowledge in motion means to them at FAU. Whether at Roter Platz, Audimax, or in the Schlossgarten – the many faces of FAU are as diverse as the stories we associate them with. As part of the anniversary year, we would like to share these stories through film. 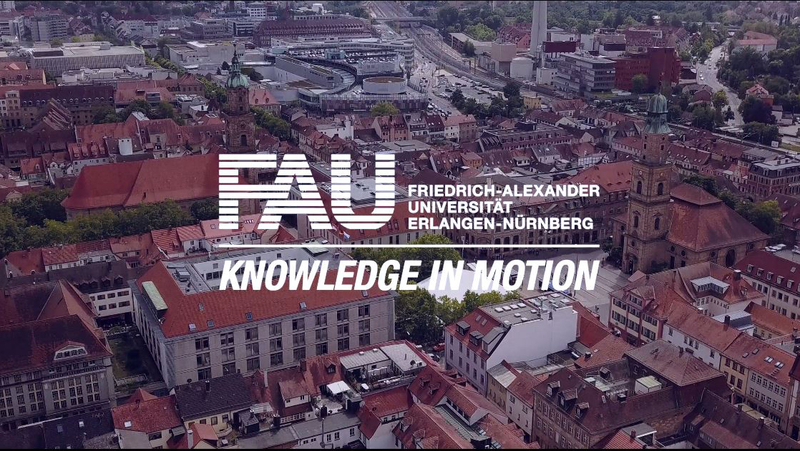 Take part in our competition and show us in a film what FAU and its motto ‘Knowledge in motion’ means to you. Whether you take part by yourself or in a team – we’re really looking forward to seeing why and how knowledge is in motion for you personally at our university. Our jury will select the three best films from all entries. They will be premiered during the 2018 Dies academicus celebrations and shown later on the FAU website. They will also be screened with all the other entries during an FAU film night.